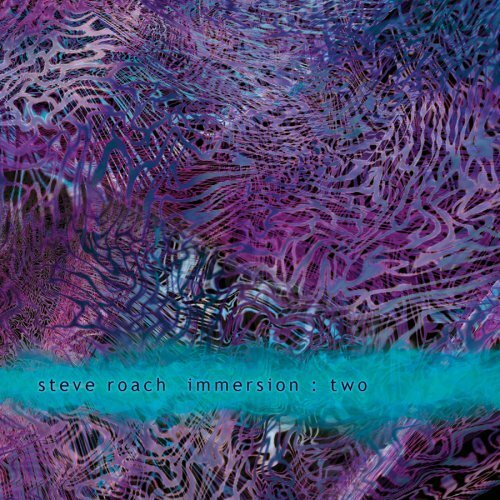 The second in an ongoing series of atmospheric zones by master sound painter Steve Roach, IMMERSION: TWO presents a subtle shift from the luminous steady state harmonic current of IMMERSION: ONE. On this 73 minute, long-form soundscape, a sinuous weblike mist seems to emanate from the speakers. Mysterious yet calm and introspective, this is the perfect sound environment for the deeper hours after midnight, or anytime a quiet, engulfing audio landscape is desired. If Nag Champa or Sandalwood incense had a sound, this might be it. "This continuous zone, titled 'Artifact Ghost', has to be one of my favorites for late-night activity and sleeping. For years I kept coming back to it, as it always feels alive and never-ending, never beginning. This piece was a big part of the inspiration to start the Immersion series. An 8-minute excerpt from the 90-minute original was heard on TEXTURE MAPS, and after this glimpse of the ghost I was struck by how many requests there were for a long-form version. "Perceptive ears will hear shades of this ephemeral zone as far back as ARTIFACTS, where I wove it into the fabric under the tribal-based grooves. Its smoky presence paid a visit on CAVERN OF SIRENS as well. If you were at any of my concerts in the mid to late 90's, there's a good chance you heard this piece setting the space before my performance. On IMMERSION: TWO I took the opportunity to live with this zone again, to fine-tune and melt the 'Artifact Ghost' even more, creating subtle movements and adding nearly subliminal openings along the way. I was shaping this IMMERSION: TWO version right up 'til the last moment. It's playing in loop mode right now."